between three parties called the "Triangle of Success”. 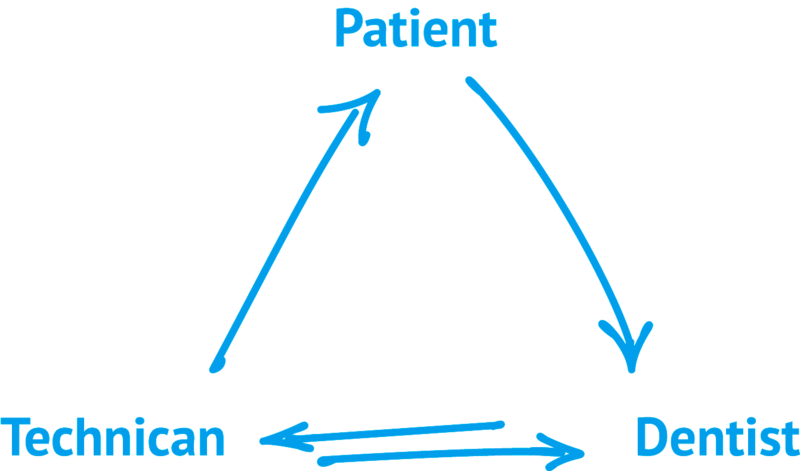 We see service and communication in dentistry as a union between three parties called the "Triangle of Success”. Working together effectively as a team, value each other and communicate at the same level by sharing our knowledge, will support us to develop a deep responsibility for the patient with true clarity in decisions. We offer treatment planning for our clients who are faced with complex cases. Our skilled technicians are ready to help you determine ideal solutions and ensure successful results and patient satisfaction. We take part in the process of shaping the future through the continuous exploration and development of the digital world. The way dentists interact with us is essentially determined by the way how we use the tools that provide benefits in terms of dentist-lab-patient communication, efficiency and quality. you and discuss future collaborations. 11-19 Sha Tsui Road, Tsuen Wan N.T.